Demand for feature paon in the past has increased. Google, who has been keeping this in mind, also entered the segment. 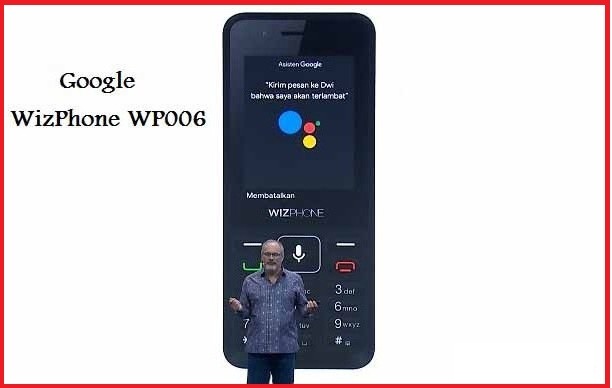 Google has launched its new 4G feature phone, which is named Google Weizephone WP 006. This feature phone works on Kios. This phone has an extra button, which is for the Google Assistant feature. It is worth mentioning that the feature is available in Jio Phones and Nokia 8110 4G phones. Speaking about the phone's features, it has a 2.4-inch QWVGA display. The pixel resolution is 240x320. The phone has a 2 megapixel rear camera and a VGA camera in front. Currently, this phone has been launched in Indonesia and its price is about Rs 99,000 (about Rs 500). This phone has single SIM support and is equipped with a 1.2 GHz spreadTrum SPRD 9820A / QC8905 dual-core processor. For graphics, Mali -400 GPU Integrated. The phone has 512 MB of RAM and 4 GB of internal storage. Which can be expanded up to 128GB via a microSD card. The phone has 1,800 mAh batteries. Talking about a Google Assistant in the phone, it can be accessed in the language of Indonesian and you can call, call, play music and send commands. At present, this phone is not available in India but it is believed that it will be launched in India shortly. 0 Response to "Google Launches New 4G phone at Rs 500 (WizPhone WP006)"